Is Chicago’s Corporate Machine Finally Breaking Down? The unlikely runoff on April 7 in Chicago’s mayoral race is a challenge to big business and Chicago’s infamous political establishment. It points towards the opportunities to build independent, left campaigns challenging the big business Democratic Party machine in its strongholds. Chicago’s municipal elections held on February 24 were all about Mayor Rahm Emanuel, and the result was a dismal showing for the long-time Democratic Party strategist and “good friend” of President Obama. The mayor got 45% of the vote over a handful of little known candidates who were often collectively referred to as “Anything But Rahm”, missing the majority he needed to win outright. Rahm will face Cook County commissioner and former Chicago Alderman and Illinois State Senator Jesus “Chuy” Garcia in a run-off on April 7, the first in the 16-year history of the current non-partisan voting system. This unlikely runoff offers a real opportunity to challenge big business and Chicago’s infamous political establishment. The result starkly demonstrates the frustration and anger ordinary Chicagoans have for Rahm’s big business politics and comes despite the fact Rahm outspent the four other candidates almost 12 to 1 using money collected from corporations and the wealthy, many of whom have received favors from the city according to reports by The Chicago Tribune. But despite this, even being associated with Rahm was a political liability. Out of 31 aldermanic candidates he supported, 12 will go to runoff and 1 lost outright. Citywide, more races are going to runoff than at any time since 1947, representing broad dissatisfaction with the current city government. Furthermore, the election saw an extremely low turnout of 34%, a result that should have benefited the high spending incumbent, but now only provides more evidence of working people’s deep disillusionment with Rahm’s policies. 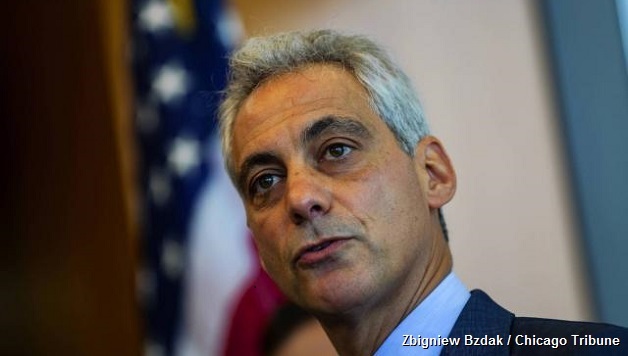 Chicagoans’ rejection of Rahm is easy to understand when you look at the city’s condition. Chicago’s economic growth has tracked the uneven national recovery – unemployment stands at 6.2% – but Chicago also embodies the nation’s inequality and broken social compact as much as any other city. While Rahm’s economic policies have centered on attracting corporate headquarters to downtown by broadcasting his disdain for unions and a taste for privatization give-aways, large portions of the city struggle to get by. Working class neighborhoods are crumbling while working people face high sales taxes and other regressive measures like the privatized speed and red light cameras that have been rigged to increase fines. Prestige Lakefront projects get massive subsidies, such as the $250 million basketball arena being built for De Paul University using mainly public funds, yet for the one fifth of Chicagoans living on $16,100 or less, affordable housing is an almost impossible dream. While the recent vote to increase the minimum wage in Chicago to $13 by 2019 is a significant improvement, even this is inadequate for low paid workers trying to survive in this overpriced city. Right now, you would need to make $15.88/hour working forty hours a week to rent an average one-bedroom apartment in Chicago! And in a city whose population is one third African-American, black unemployment stands at 25% and African-American youth unemployment at an astounding 92%. The plight of African-Americans is made even worse by racist policing – in 2012, 79% of youth arrests were of African-Americans. Under such conditions it is easy to grasp why Rahm is known here as “Mayor 1%”. For many in the city, Rahm’s education policies most glaringly demonstrated his callous disregard for working people. In his first term, he attempted to lower teachers’ pay and break the power of the Chicago Teachers Union (CTU), prompting a teachers strike in 2012 which succeeded in temporarily slowing his offensive. But in 2013 Rahm summarily closed 50 schools primarily in African-American communities, devastating educators and students. Voters’ opinions are at odds with Rahm’s pro-charter, corporate education policies as demonstrated by the overwhelming vote in favor of a non-binding ballot measure, endorsed by every candidate except Rahm, for an elected school board over the current mayoral appointment system. Rahm’s assault on education also fueled the Chuy campaign. The CTU provided heavy support for Chuy’s candidacy, and he received a crucial early endorsement from CTU president Karen Lewis. Lewis was considering a run against Mayor Emanuel and was a leader in many early polls. Socialist Alternative urged Lewis to stand as a left independent candidate. Unfortunately, she had to drop out of the race for health reasons but many commentators in Chicago have argued the election result demonstrates that had she been able to run, she could have defeated Rahm outright. This is the real tragedy of this election: the result points towards the possibility of a labor backed, combative election campaign to challenge the Democratic Party establishment. Coming out of a real struggle against Emanuel’s attacks, the CTU and Karen Lewis were well positioned to express the desire of working people to have their own voice and force. This is the background to the situation which activists in labor, in communities and on the left in general in Chicago need to discuss so that they can take advantage of the huge political shift. Although Chuy was able to force Rahm into a runoff, he was not very well known before the election, especially to younger voters and he does not have the following that Lewis does. Older voters may remember the young Chuy’s support for Chicago’s first Black mayor, Harold Washington, against the white majority on the City Council, and this record was the basis for Lewis’ invitation to him to run in her stead. He has also received significant support from a major SEIU local as well as the Teachers’ union. But for most voters in this primary Chuy was seen largely as the progressive “not-Rahm” candidate. In a triumphant election night speech he began to define his vision for Chicago, striking a strong anti-establishment tone and declaring, “Tonight, we the people have spoken, not the people with the money and the power and the connections, not the giant corporations…They’ve had their say for too long. But today the rest of us had something to say.” If Chuy is able send Rahm down in an ignominious defeat with this message it would represent a serious defeat for the pro-corporate right wing of the national Democratic party. 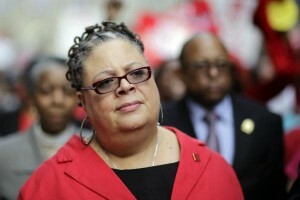 However, while Karen Lewis at least filed as independent from the Democratic Party, Chuy is known as a longstanding Democratic Party representative. Chuy has to put many more concrete details of his platform on the table before working people can truly believe his words, and some of his proposals already point in the wrong direction. Oddly, in light of the #BlackLivesMatter movement here that has highlighted past police torture, Chuy has centered his campaign on a pledge to add 1,000 new police officers. This commitment looks even more out of touch in light of the new allegations of Chicago Police Department abuse at a Homan Square facility reported on in The Guardian. Chuy’s support for cuts to county worker pensions as Cook County commissioner are also a serious problem in light of the corporate-backed offensive to use the budget crisis to attack pensions. Defeating this attack on working people will require standing up to both corporate city Democrats and the new Republican Governor Bruce Rauner. Nevertheless, the run-off campaign has just begun. The results of this first election have clearly demonstrated that ordinary Chicagoans are ready to break with the long reign of the big business Democratic Party machine that dates back to the early decades of the 20th century but was reinvented in its privatizing, neoliberal form under Richard M. Daley and then Rahm Emanuel. Working people will be using a vote for Chuy Garcia on April 7 to get rid of Emanuel. Unfortunately, Chuy Garcia is not a candidate who promises fundamental change. However, he still has an opportunity to put forward a platform that lives up to those aspirations. In order to galvanize working people to the polls and defeat Rahm, Chuy needs to demonstrate clearly his intention to take on big business and the Machine legacy. This would include breaking decisively with the policies of austerity, pushing for real community control of the police and ending mayoral control of the schools. But really putting meat on the bones of Chuy’s anti-establishment stand would inevitably lead to a ferocious counterattack by the corporate media and the top of the political establishment. A genuine left campaign would require mobilizing working people in their neighborhoods and workplaces to get active and use the campaign as the beginning of a serious struggle to change Chicago. This would point in the direction of what is really needed, a new political party representing the interests of working people and the poor. 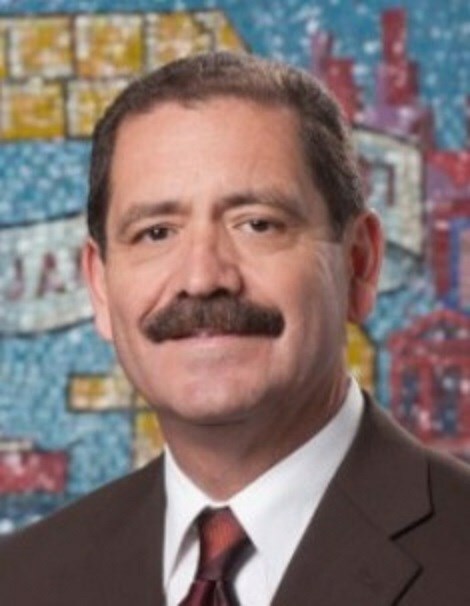 While candidates do not have to identify their political party affiliation during the non-partisan election, if Chuy were to state now that he will not identify as a Democrat this would be an important indication that he intends to stand with working people against the plutocratic Democratic party of Rahm Emanuel. A vow to fight Republican Governor Rauner and the Democratic majority in the State House for the approval necessary to create an elected city school board. An elected Civilian Review Board with full powers over policing policy, and budget priorities and the immediate payment of reparations to police abuse victims. Full funding for education and jobs, paid for by taxing big business and the super-rich, who are profiting off of racial and economic inequalities. Rent control and new affordable housing so that no family in Chicago pays more than 1/3rd of their income on housing and no one is homeless. An immediate $15/hour city-wide minimum wage, paid sick days, paternity and maternity leave and an end to all forms of employment discrimination. A vow to turn the Chicago Mayor’s Office — the third largest city in the US — into a bastion against all cuts imposed from the federal or the state government, to stop privatizations, restore and implement full union rights and put people over profits. The time is short before the run-off but the Chicago mayoral race represents a huge opportunity for galvanizing working people around a real fighting challenge to the corporate elite and their servants in the political establishment. This race in the country’s third largest city is therefore of major significance not just for Chicago but for the working class across the U.S.